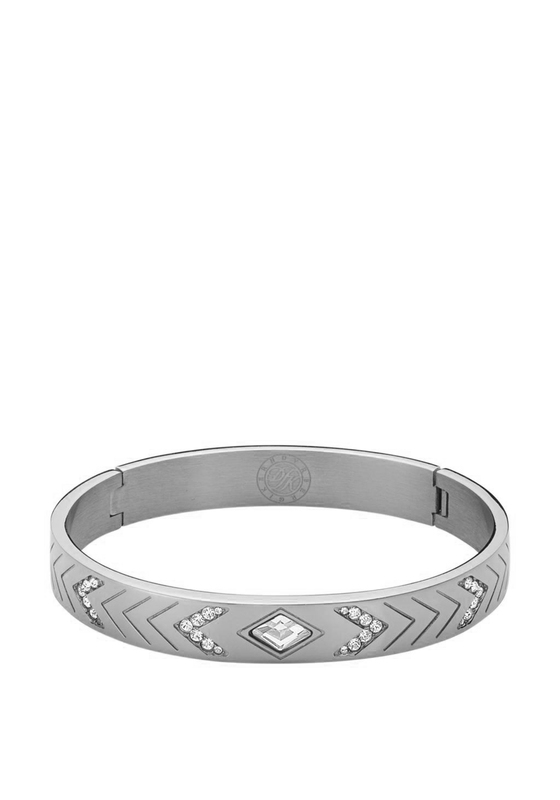 Complete your jewellery collection with this fabulous Dyrberg Kern bangle in silver. 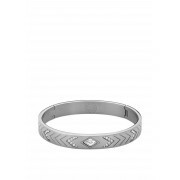 The clear crystals are set in an almost arrow like design that surrounds the bracelet. Pair this Bangle with one of the other items in the collection for the perfect sparkling glamourous look.